The Bartlett Theater derives its name from the man who is often credited as Durham’s founding father: Dr. Bartlett Leonidas Durham. 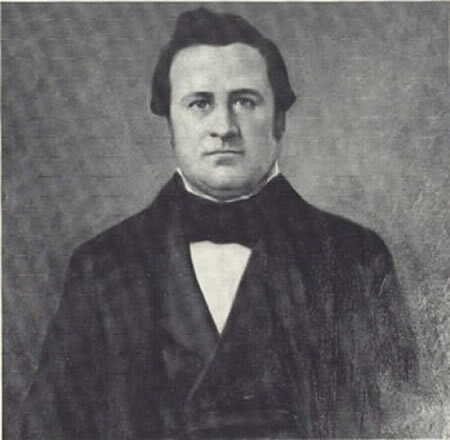 Born in 1824, Dr. Durham was the town’s first physician and he lived and worked on about 100 acres of land near what is now the Durham Bulls Athletic Park and the American Tobacco District. He later donated land for the area’s first train station. Dr. Bartlett Durham was a jovial man, a drinker known for carousing, storytelling, public singing, and occasional brawls. Even more than his moonshine-fueled-shenanigans, Durham was intensely affected by his work with patients. He was said to fall into deep depressions if a patient died under his care. Like our namesake doctor, Bartlett Theater wants to be provocatively entertaining while caring deeply about our community. We want to foster connections between diverse individuals and we want to encourage people to have a good time. Our mission is to significantly broaden the perspectives of audience members by giving voice to a diverse chorus of playwrights in a provocatively entertaining and educational way. We achieve this by dedicating ourselves to exploring and presenting the creative world of one playwright each season. As the only theater in the Southeast, and one of just a handful nationwide, with such an immersive focus, Bartlett Theater will produce bold works that challenge and empower its audience by finding the powerful connections between the words and stories of modern playwrights and the contemporary playwrights they inspired. With the goal of becoming a regional theater presence, Bartlett Theater intends to firmly plant itself in downtown Durham, further enriching a vibrant local culture. The Triangle area of North Carolina has a robust and diverse community of theater artists and performers, producing high quality, challenging works of a primarily contemporary nature. In a region that is clearly committed to the arts, there is room for the rich, resonant voice that can be found in the works of modern playwrights. Chapel Hill has Playmakers and Raleigh has Burning Coal; Durham deserves its own regional theater. Bartlett Theater intends to embrace that role. Bartlett Theater is recognized as an incorporated, non-profit 501(c)(3) organization. All donations are tax-deductible. We work with a mixture of AEA and non-Equity actors.